Whittley are probably best known for their trailable cruisers. 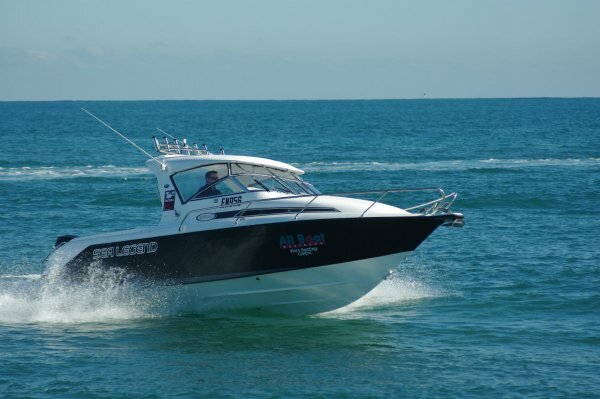 Their range of more fisherman-friendly boats, the Sea Legends, features a sharper deadrise hull, a finer bow, a lot more cockpit, and a mass of features to make anglers happy. The review Sea Legend 26 certainly has all those features, but it still manages to be a competent occasional cruiser as well. 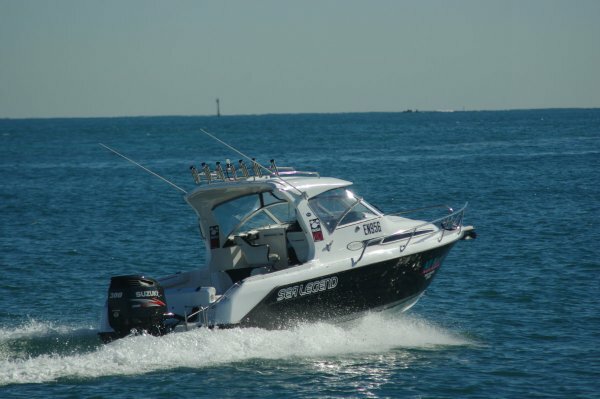 That is probably the reason the boat’s dealer had chosen to take it on a recent trip with friends to the Montebellos; and also why he added a mouthwatering list of extras to the boat’s inventory. 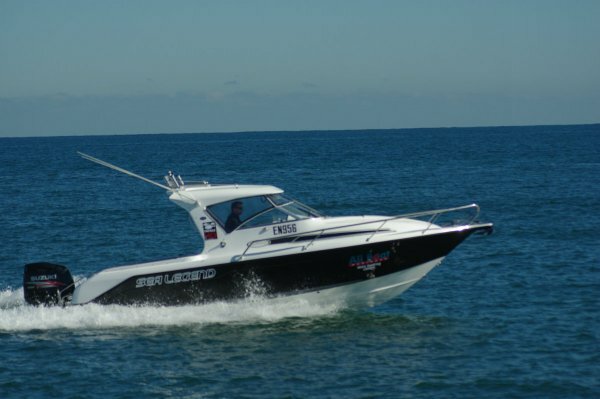 Although the Sea Legend is not as big as it sounds (hull length is 24ft rather than 26) it still feels a big trailer boat, with a cockpit three or four people could spaciously fish from. Montebello fishermen tend to be enthusiasts with tackle boxes like trunks, and the 26 has a feature just for them. Under the cockpit carpet is a small lid within a big one; lifting the smaller opens up a neat storage space. Lift the larger – almost half the deck area - to reveal a storage bin the size of a fish pond. This lifts out, which is handy if you are using slurry, and can absorb all that fishing gear or sets of diving gear. The anglers have rod racks within the bulwarks, a rank of rocket launchers across the hard top, and sockets in the coaming. 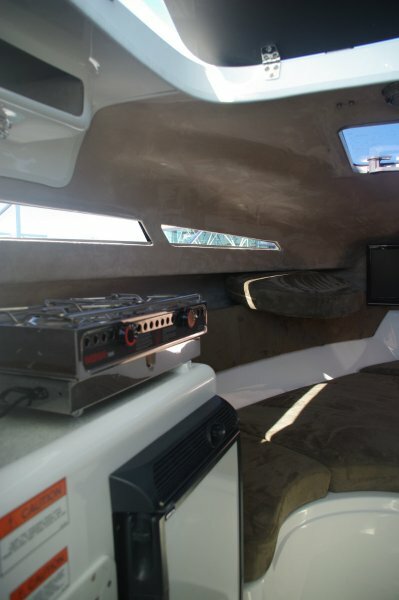 They also have a live bait tank with window, a deck wash, and a transom shower for day’s end. 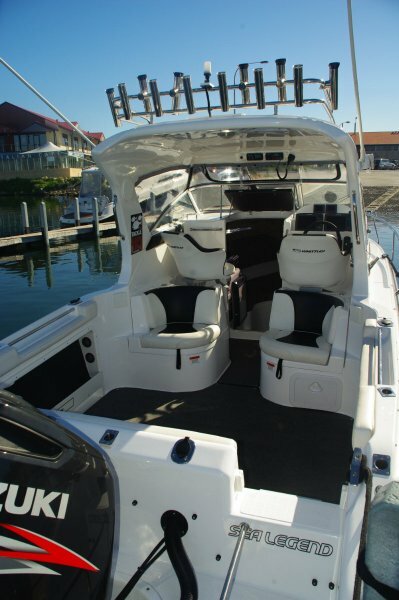 The seating is the usual folding-removable twin at the transom, which teams with back to back seats for four at the dash. Under these is locker space to rival that under deck. Storage gets a big tick in typical Whittley fashion, with spaces over, under and behind something else all brought into use. The stylish hardtop leaves a gap above the windscreen; definitely what you want in the tropics, but closeable with clears for higher latitudes. A tidy console in it carries the radios. The dash console below carries the contents of several chandlery shelves, starting with a pair of screens for the plotter-sounders. Above these is the autopilot – once experienced, always yearned for – and this is super simple to use. 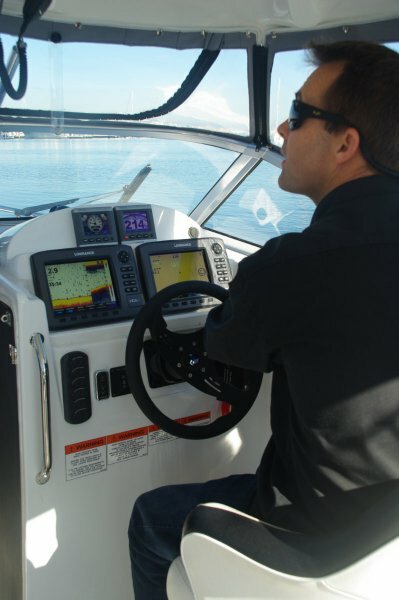 One button locks you on the course you are steering; others make small course adjustments. Or you can get more complex and tell it to talk to the GPS. The idea is to set the course, play with leg trim, trim tabs and throttle until the economy gauge announces best results, then sit back and just keep a lookout. A locker door on the reverse side of the dash opens to expose all the wiring for these things, and the circuit breakers are conveniently mounted on the door. More wonders are revealed in a walk around the Sea Legend. Triple batteries, partly charged by solar panel and controlled by a Volt sensing relay that shares out the charging, giving priority to the starting battery. A lockable cabin containing, besides the usual beds, a TV-DVD, a two-burner stove, a fridge, and a removable table. Opposite the galley is a bathroom, small but useable and plumbed to a hot water system. Minor goodies include a power windlass and a windscreen wiper. Top power for the 26 is normally 250hp, although it would be easy to be happy with less. 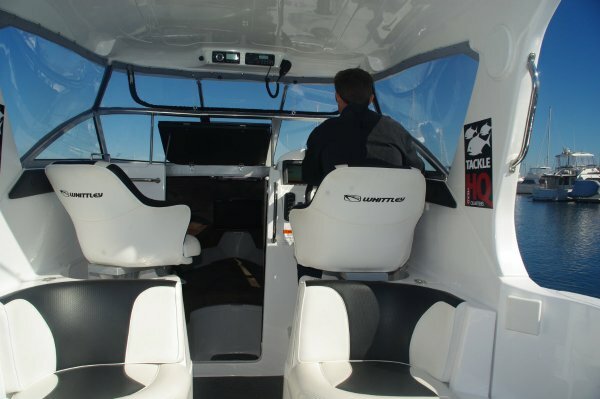 The review boat, in contrast, has a 300hp Suzuki four-stroke. 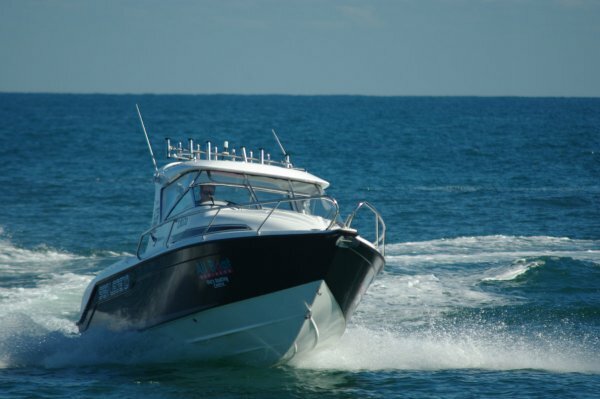 The Montebellos are a solid voyage from either Onslow or Dampier, and the sea conditions would frequently allow a wide throttle opening even on the 300. The review day weather was much like that, and wide was how we opened our throttle. Nothing even slightly twitchy about the behavior: proportionate progress as the throttle opened, the electronic controls making this effortless and smooth. Winding on wheel was also without effort thanks to the hydraulic steering, and the boat’s response was impeccable. All up, the Whittley was well able to absorb 300hp. For lumpier occasions the seating was all well provided with hand holds, and with drink holders for the other hand. Another one to put on the look-at list for offshore fishermen.